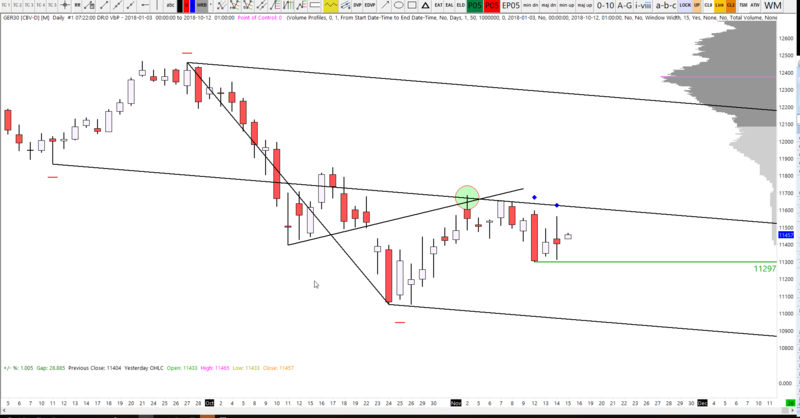 The DAX30 posted another outside bar yesterday (higher and lower than the previous day). However, the price closed only around 25 points lower than the open, roughly in the middle of the range, creating a spinning top candle. The main observation is that we failed to break the high and failed to break the low of the Monday range, so no direction is visible yet. 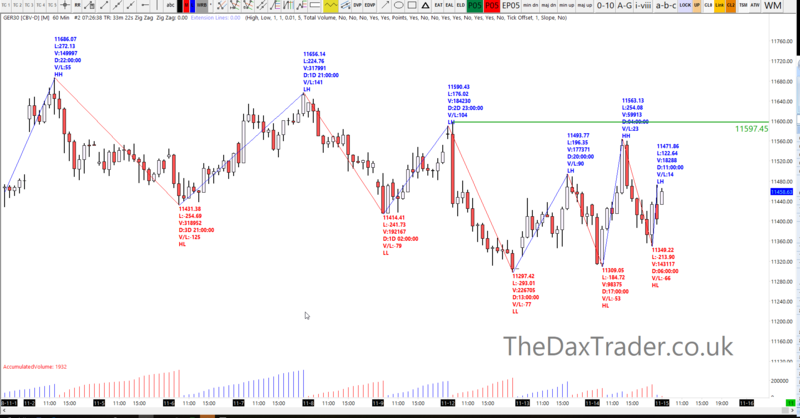 The benefit of days like yesterday are that you can be rewarded with multiple momentum trades, like we saw on the DaxTrader Scalper strategy (broadcasted live throughout the day to members), which we will see further below. The neat series of lower low and lower highs was broken yesterday. This doesn’t suggest we have a direction change, it just suggests that the price action is no longer trending in the short-term. Some traders may be looking at the most recent three highs and wondering whether we are creating a head & shoulders pattern. The neckline would be the two most recent lows. Some traders may be seeing a range bound market and buying at the range low, selling at the range high. I am personally happy to trade what the market offers, with no directional bias. Yesterday, we opened up inside of yesterday’s value area but broke both below and above the value area range, closing back inside the value area again. Today, we also opened up inside of yesterday’s value area, but once again the value range is similarly low. 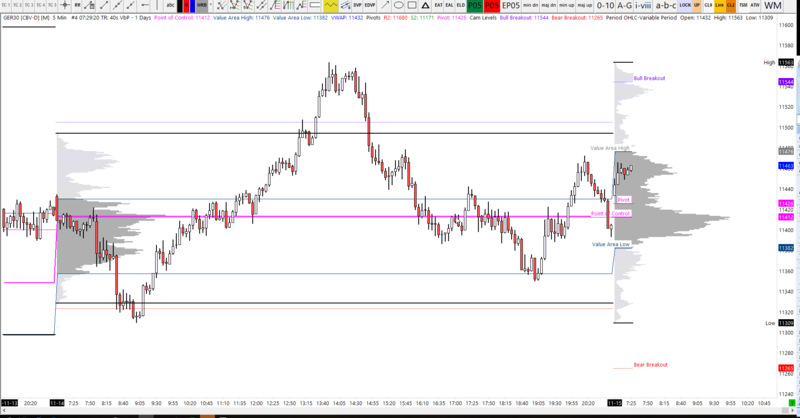 The point of control for today is almost the same as yesterday too, so perhaps price is carving out a base here and I will be looking to see whether that provides some support or resistance, depending on the direction we break from this developing range. 467 14-Nov GOLD L 1200 OPEN #VALUE! #VALUE! 468 14-Nov USDCHF S OPEN #VALUE! #VALUE!